Why hunt for the best monthly contact lenses? Simple. 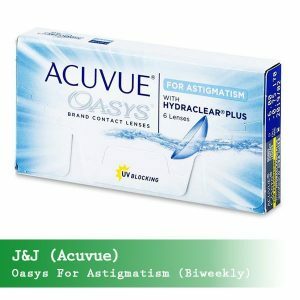 Unlike dailies, you can wear monthly disposable lenses for 1 to 3 months, then throw them away. If you ask, this is the likely definition your doctor will give you. Before wearing any contact lens, though, you need to inform your doctor. 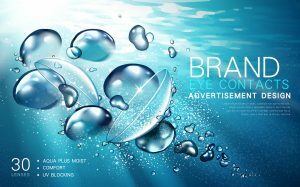 Popular monthly contacts are Proclear Compatibles, Purevision, Biofinity, Focus, and Air Optix Aqua. You can find toric or multifocal contact lens at a good price at Coastal.com or 39dollarglasses.com. Some of these are solely for astigmatic patients. Others are regular lenses that wearers can wear for longer than daily or weekly lenses. This article will expound common mistakes to avoid, the best monthly lenses, and where to get them. Do you ever fall asleep wearing your contact lenses? Have you ever been in a rush, you just wrench your contacts off in the sink? Well, according to eye specialists, little mistakes like these can cause serious eye infections, even blindness. One thing that’s common with people is they don’t wash their hands before they handle their contact lenses. Before handling your contact lenses, you need to ensure you wash your hands with an antibacterial soap. Also, ensure you are working with a lint-free towel before inserting/removing a contact lens from your eye. Another thing is sleeping in your contact lenses. Anytime you sleep in your contact lenses, you significantly increase your risk of lens-related eye infections. Monthly lens wearers want the most value from their lenses. And that means getting a full month of comfortable wear from them. But for so many monthly lenses wears, this can be a challenge. Majority experience declining comfort over the month. Often, lens hydration is the culprit. To compensate for this decline, many rely on rewetting drops, taking breaks or other behaviors. But now, there’s the new ACUVUE® VITA™ with HydraMax™ Technology. This eye inspired design brings reliable and superior comfort all month long. The HydraMax technology has new non-coated silicone hydrogel formulation. It has a good balance that helps maximize and maintain hydration throughout this lens. Also, the technology allows a maximum amount of hydrating agent throughout this entire lens. This results in comfort from the start of the month. It also integrates with the eyes natural and beneficial lipids throughout this lens. This helps to reduce evaporation and maintain hydration, providing lasting comfort throughout the month. In a clinical study, patient ratings for the ACUVUE® VITA™ were superior for overall comfort. This is through the first, second, third and fourth week compared to other leading monthly contact lenses. This CooperVision Biofinity Multifocal lens is manufactured by CooperVision. It comes with the silicone hydrogel material, Comfilcon A, and the Balanced Progressive Technology. It employs the processing power of the visual cortex of your eyes once it’s inserted. This results in an enhancement to your all-range vision. And along with this, the lenses provide a good fit for both eyes. The lenses have a base curve of 8.6mm and a diameter of 14.0mm. This makes them suitable for a wider spectrum of lens wearers. To create the clearest possible image, the lenses focus light from far and close range items to the back of the eye. This is possible when the D and N lenses work together. This creates a clear vision whether you are viewing closer, farther items or in between. They are naturally wettable lenses so that you don’t need addition wetting. This means you can easily see far and near objects and still be able to maintain comfort for up to 7 days. The lenses also feature the Aquafoam technology. This gives them water retaining capacity so that comfort is not sacrificed. This also ensures that the lenses don’t dry out. Moreover, the design allows oxygen to pass quickly through your eyes. This provides enough relaxation to the eyes so you can enjoy clear vision. 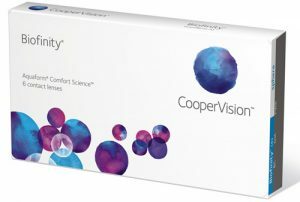 For more information and how to order the CooperVision Biofinity Multifocal Lenses, check out this page. As you approach the age of 40 years, you may begin to lose the power of your vision (presbyopia). Presbyopia is a condition that cannot be avoided. But you can easily manage it with a contact lens like the ALCON Air Optix Aqua Multifocal. This contact lens has a Unique Precision Profile design which catalyzes excellent vision for both far and near objects. The ALCON Air Optix Aqua Multifocal does this by transitioning your eyes from close to far away objects. This makes it easier to view mid-range objects like a computer or read the fine print. Your vision switches from far, near, and intermediate as the eye moves from one focal point to another. The beauty is that you won’t even notice this mechanism. The lens is calibrated too. This means you won’t experience distortion in vision. Enjoy your driving or engage in outdoor activities comfortably. The lenses have a base curve of 8.6 mm, a diameter of 14.2 mm with a permanent plasma technology. This lets it glide over your eyeball and conform to the natural shape of your eye. And it also has a visibility tint that makes it easier to handle. As an extended wear lens, you can wear them daily for up to 6 nights. 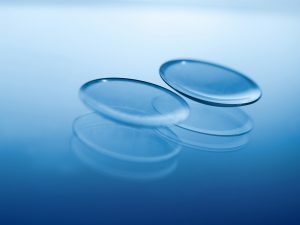 The lenses come with the popular TriComfort Technology. This is responsible for greater breathability and moisture retention. Fortunately, this doesn’t breed mineral buildup or deposits that can affect your vision. These lenses also have a hydrophilic property. This is a unique wetting agent that enables your eyelids to glide easily over the lenses. Compared to others, you can enjoy up to 5x more oxygen with the Aqua Moisture System. Check the ALCON Air Optix Aqua Multifocal here on Coastal.com. These lenses come with the MoistureSeal Technology. This enables the lens to maintain 95% of its wetness for complete 16 hours. Like other high-quality lenses, it doesn’t take away feeling comfortable, even at the end of the day. It also features the polyvinylpyrrolidone (PVP) content with the three silicone hydrogel material. 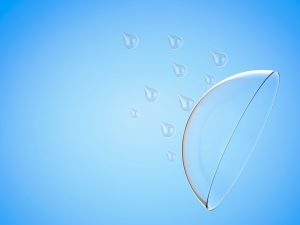 They enhance the water retention capacity of the contact lenses far more than other silicone hydrogel lenses. Because of this, the lenses can retain moisture the greater part of the day while providing that reliable vision. They are specifically designed for you if you spend more time on digital devices. When using your computer or any other electronic devices, you blink less. This can even cause the eye to dry when you engage with them for a long time without break. This can quickly lead to discomfort. But you can get help with this lens. It is able to retain 95% of its moisture for a full 16 hours. This means you can get a healthy, hydrated eye that stays comfortable throughout the day. If you make use of digital devices for a greater part of your work-day, try out this lens from Bausch+Lomb. You can wear them for 30 consecutive days without the discomfort that comes with other monthlies. You can learn more about the Bausch and Lomb lenses here. If you are suffering from astigmatism, you may not like the inconsistent performance of other contacts. While you have always wanted them to work, have you ever wondered why they don’t? The answer could be instability. This ensures the lenses remain in the same position relative to your eye movement. This is important for the vision to remain consistently clear. If the contact lens rotates, your vision will be blurry. Stability is not an issue for those who wear eyeglasses because eyeglasses naturally have points of stability. Contact lenses for astigmatism must be specifically designed to maintain stability. The Air Optix for Astigmatism by ALCON durable. It is able to sustain performance, providing consistent vision and comfort without compromise. The Air Optix for Astigmatism by ALCON have a unique precision balance lens design. Like like eyeglasses, this locks stability at multiple points in the eye. This lens has two points of stability, one at 8 O’clock and one at 4 O’clock creating a foundation of stability. This performs better than other astigmatic lenses that have a single point of stability at 6 O’clock. This design allows Air Optix for Astigmatism to work with your eyes natural blinking movement. Each time you blink, your eyelids engage the contact lens at the two stabilization points. This ensures the lens is in its proper position for greater stability and comfort. Learn more about the Air Optix for Astigmatism by ALCON and how you can order it here. Imagine you are a contact lenses wearer and want to decide between daily and monthly contact lenses. You know it can be tough settling one. With this in mind, let’s look at some of the pros and cons of each one. These are the type of contact lenses you throw away at the end of the day. They will save you times which you have to clean them, or the cost of purchasing contact lens solutions or the need to save them overnight. These kinds of contact lenses reduce your risk of complications especially if you have allergies or dry eyes. Just put on a new pair of contact lenses in the morning and throw them away at the end of the day. Dailies are especially great for new wearers and infrequent wears as well as younger patients. If you are an infrequent wearer, you’ll love the flexibility of daily contact lenses. You can easily go back and forth between your glasses and contact lenses. The disadvantages are that they are more expensive up front. Usually, dailies will cost you more to purchase than monthly contact lenses. However, they offer greater value in that you don’t have to purchase any solution to disinfect them. Also, the potential complication that monthlies can cause is not a problem. The FDA doesn’t approve sleeping in daily contact lenses. This simply means it is dangerous to sleep in them. Dailies can also be less environmentally-friendly. This is because you are using new lenses every day instead of a new lens every month. Dailies are also great for many things, they also have a greater risk of ripping, tearing or losing altogether. They are made of thinner materials than monthly contact lenses. Monthly disposable contact lenses or simply monthly are contact lenses you can wear every day and throw away after a month goes by. They are less expensive upfront for wearers who follow their doctor’s directions. A key point to note here is that if you take care of your monthly lenses and wear them appropriately, you’re less likely to have complications. However, monthly may cost you more money when you include the cost of contact lens solutions and the potential complications that can occur if you’re not compliant. Some monthly are known as extended or continuous wear contact lenses are FDA-approved for you to fall asleep in. However, I personally still don’t recommend you sleep in your contact lenses. Another advantage is that monthlies are environmentally-friendly since you’re using a new lens every month instead of every day and what these are designed to allow more oxygen to the front portion of your eyes. The disadvantage is that most require cleaning, storage, and purchasing of lens solution since they tended to let more buildup. Monthlies increase your risk of complication and could actually be an issue if you have an allergy, dry eyes or if you are not following exact instructions your doctor provided. 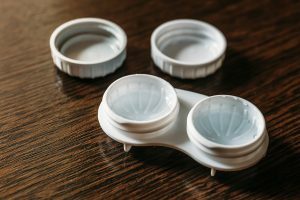 Unless you live by your calendar, monthlies are difficult to follow up because it’s easy to forget exactly when to replace your monthly contact lenses. Eyewear Avenue is dedicated to providing the best advice and expertise on optical items. Our dedicated team reviews popular products, newly released items, and the latest scientific research to ensure you always get the most up-to-date information. What works for others may not be suitable for you, so do your due diligence before making any changes to your eye care routine. This information is intended for informational purposes only and does not constitute medical advice. All rights reserved.